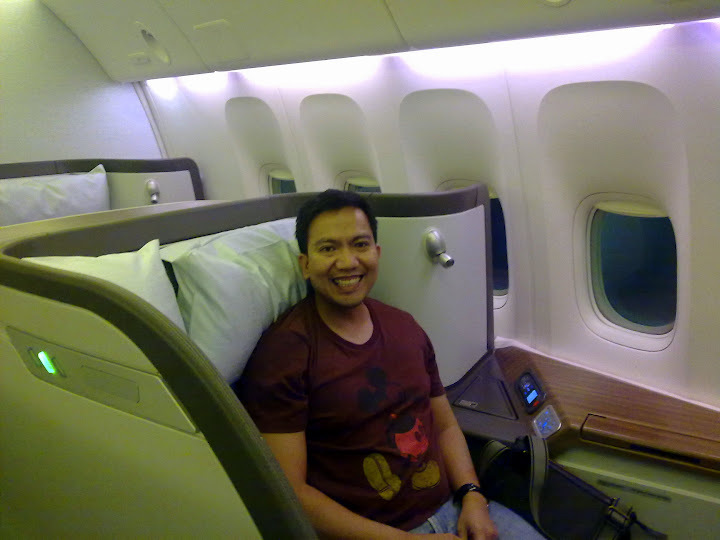 On my flight back to Manila, I encountered the business class seats of Cathay Pacific. I wasn’t booked on business because it is our company’s policy that only trans-Oceanic sights can be booked on Business class. I don’t have any complaints on Delta Airlines’ Business Class seats – but I was definitely impressed with the Business class seats of Cathay Pacific. I was a bit chatty with the Flight Attendants and I exclaimed that it was my first time to see their business class seats. She encouraged me to check out First class. I did. That was huge. It’s the size of a cubicle in our office. I guess it’s true – once you get to experience First Class – you’d never want to go back to Coach. For Posterity’s sake, I had my picture taken. 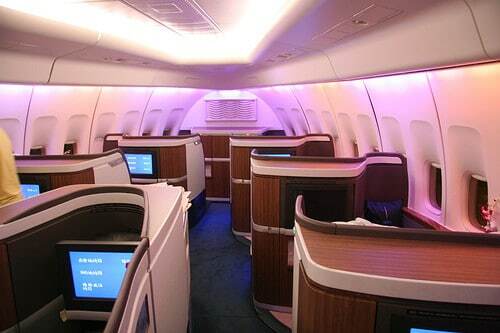 In today’s economy – it seems to luxurious to fly First Class – especially on the Company’s money. However – things will get better and when it does – I do hope that I get to experience Cathay Pacific’s first class.